Conventional cancer treatment still uses three important modalities of the last four decades: surgery, radiotherapy, and cytotoxic chemotherapy. For treatment of metastatic disease, cytotoxic chemotherapy is the mainstay of treatment, although it is broadly targeted and results in toxicity to normal tissues with limited expectation of curing metastatic tumors. Immunotherapies have also been explored over several decades. 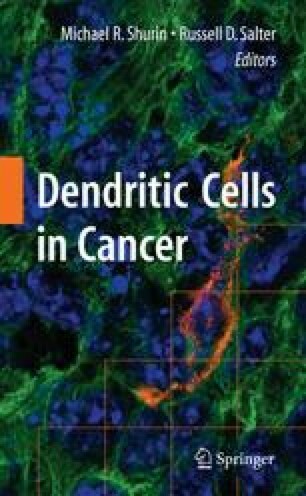 Among immunotherapies, approaches based on dendritic cell vaccines are particularly promising, since dendritic cells, as professional antigen-presenting cells, can utilize apoptosis/necrosis-induced therapy of tumors to elicit improved antitumor immunity through the acquisition of tumor antigens from dying tumor cells. The combination of conventional therapy with dendritic cell vaccine is one of the approaches to induce protective antitumor immunity and therapeutic efficacy against cancer. However, conventional therapy is impacting endogenous and exogenous dendritic cell activities and is commonly associated with myelosuppression. New strategies are necessary to develop feasible and effective combinatorial therapeutic approaches for cancer treatment. We have recently shown that short-term non-toxic low-dose chemotherapy, so-called chemomodulation, prior to intralesional injection of dendritic cell vaccine targets multiple immunological and stromal elements in the tumor environment, opening a new opportunity for cancer treatment.